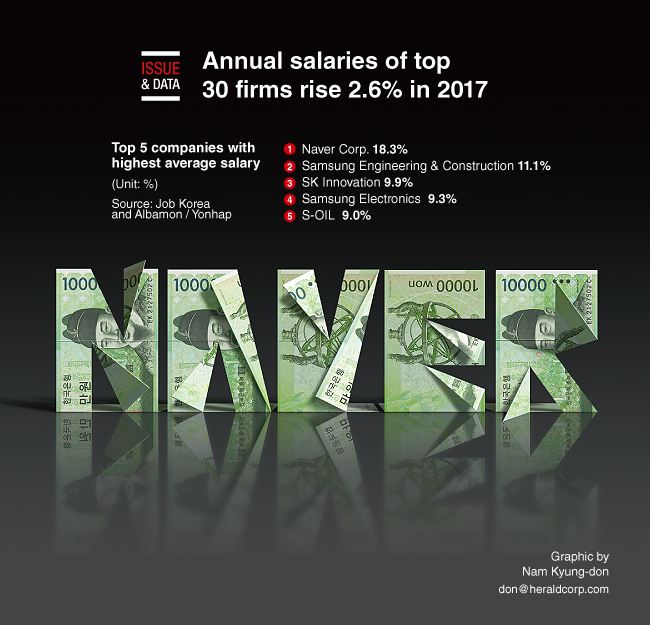 The average annual salaries of employees at South Korea’s top 30 listed companies grew in the mid-2 percent range in 2017, with the growth rate for women nearly twice that for men. According to job portals Job Korea and Albamon, the per capita annual salary of leading companies increased at an average rate of 2.6 percent last year from a year earlier. Top web portal operator Naver Corp. posted the highest increase of 18.3 percent (12.75 million won) on-year.